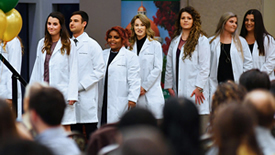 Historically, graduating students have been welcomed into the nursing profession with a pinning, said Peggy MacKay, a lecturer in the UNC Charlotte School of Nursing. 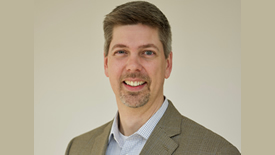 But faculty in the school wanted to do a little more for the graduates to formally usher them into the field. 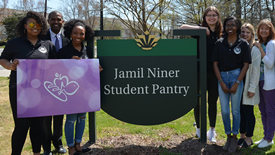 Harris Teeter recently made a donation to the Jamil Niner Student Pantry. 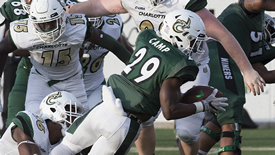 A gift of $10,000 in Harris Teeter gift cards and industrial shelving to update the pantry’s storage needs will assist the organization’s efforts to combat student food insecurity on UNC Charlotte’s campus. 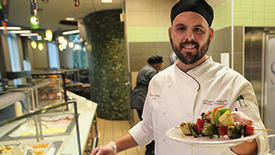 SoVi Dining Hall and Crown Commons were designated recently as “3 Star Certified Green Restaurants” by the Green Restaurant Association (GRA), a national nonprofit organization helping restaurants to become more environmentally sustainable. 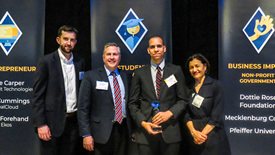 Treven Stoddard, a senior computer science major, recently received the Blue Diamond Student Innovator Award for developing an application to assist algebra and calculus students. 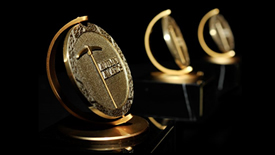 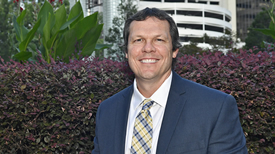 For his outstanding contributions to industrial and organizational psychology, UNC Charlotte Psychological Science Department Chair Eric Heggestad has been named a Fellow of the Society for Industrial and Organizational Psychology (SIOP). 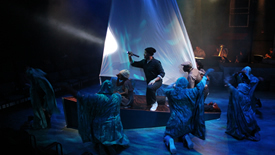 The National Association of Schools of Theatre has granted full membership to UNC Charlotte’s Department of Theatre.